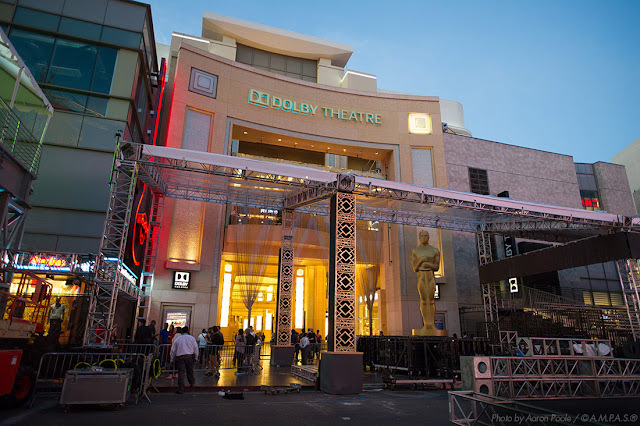 Hollywood Boulevard has begun its transformation into the famous Oscars Red Carpet arrivals area. See photos of the preparations so far. 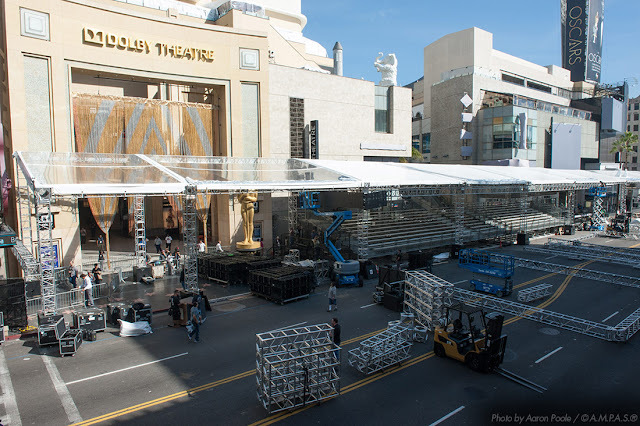 Hollywood Boulevard has begun its transformation into the famous Oscars Red Carpet arrivals area. Each year, the famous stretch of concrete between North Orange Drive and North Highland Avenue goes from cars to stars. 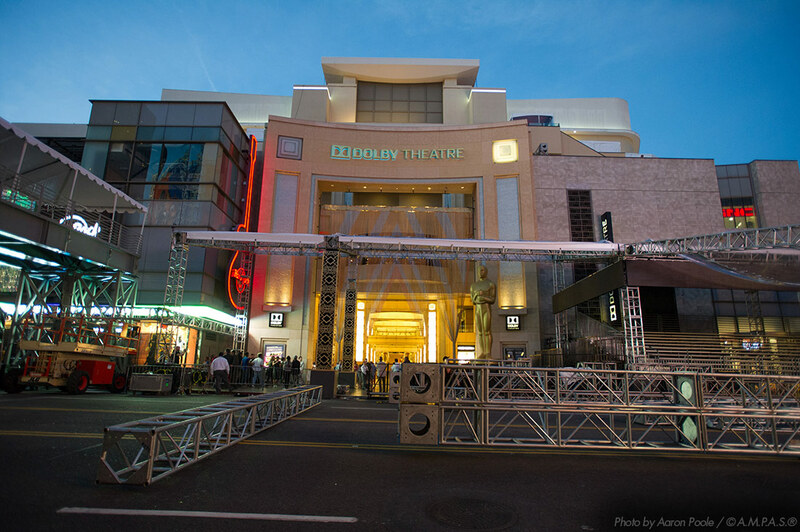 The stretch of Hollywood Boulevard closed Sunday night and won't reopen until Tuesday, March 1. Crews began putting up tents and fan bleacher seats last week. 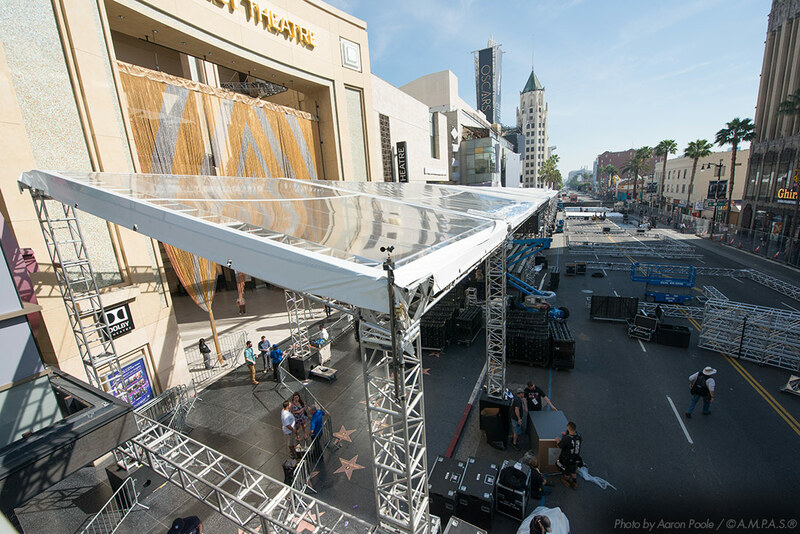 Different from recent years, the entire stretch is under clear tents, with white tents covering the fan bleacher area, which was installed over the weekend. 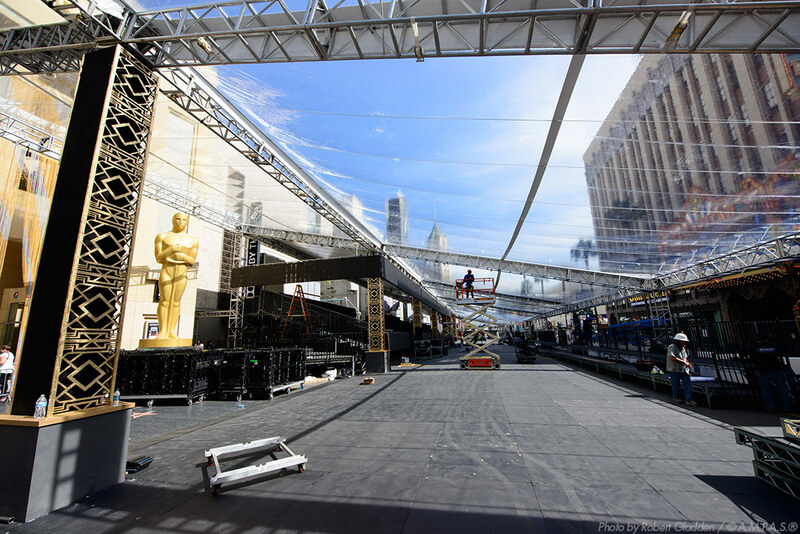 Even with a warm and clear forecast for Oscar Sunday, crews are installing the tents. Also different from recent years are the type of tents. A large clear tent typically halfway down the arrivals area (see video below) is gone. 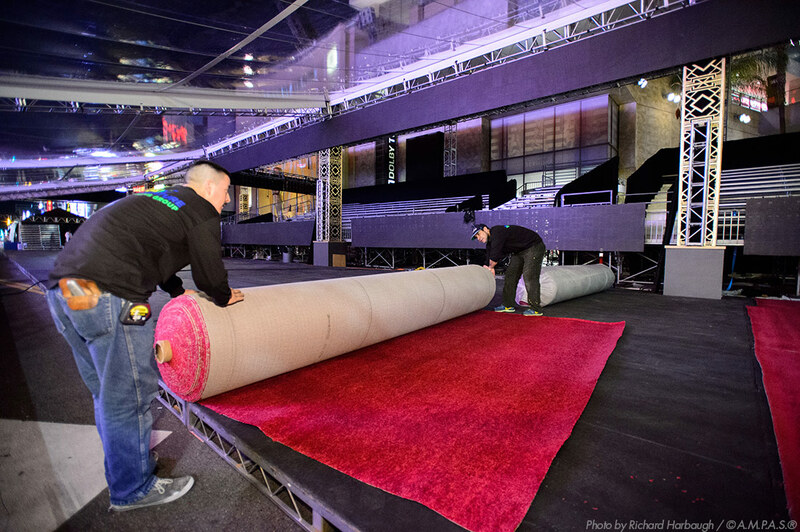 Rolls of the famous carpet began arriving Tuesday night, with crews rolling it out and beginning to install it. Below are some photos of the preparations thus far. Red Carpet setup will continue until moments before the stars arrive on Oscar Sunday. 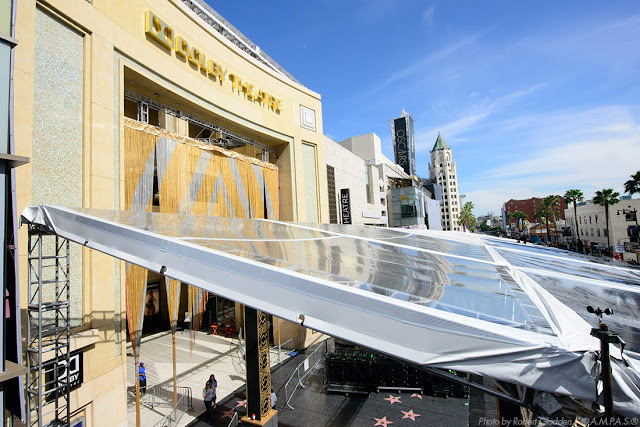 New this year is a beaded curtain, replacing a gold cloth curtain that has been a staple under the Dolby Theatre's arch for years. 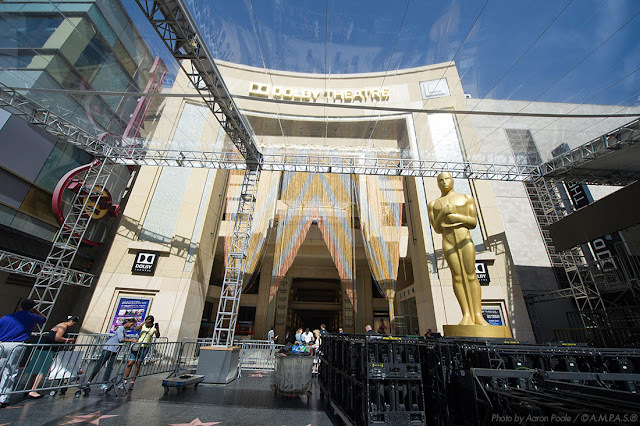 Also new this year are tents that stretch from one end of the Red Carpet area to the other. The forecast for Sunday is a high of 80 degrees and mostly sunny. 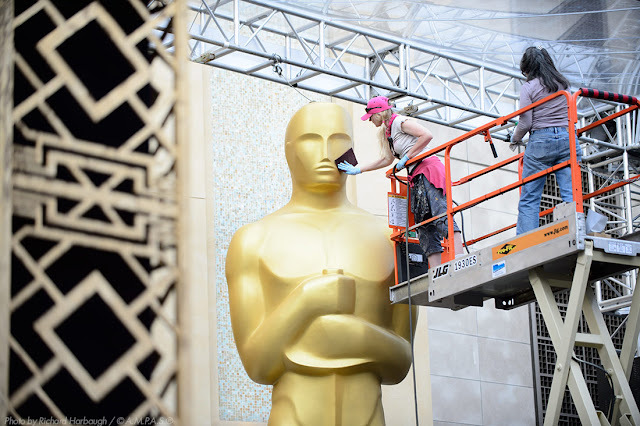 Organizers must still be reeling from last year's near-deluge on Oscar Sunday. 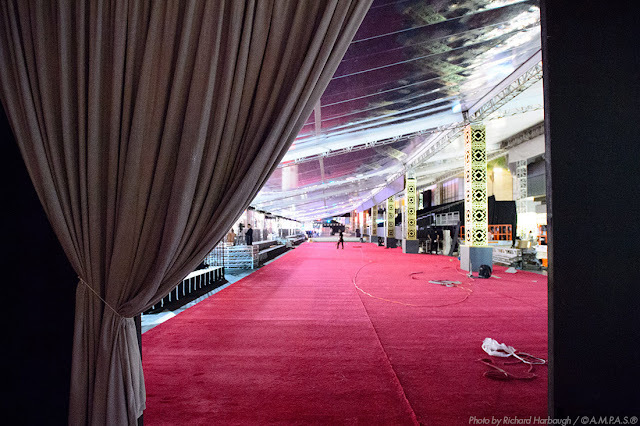 The slanting tents from one end of the Red Carpet to the other is a new look for the Oscars this year. 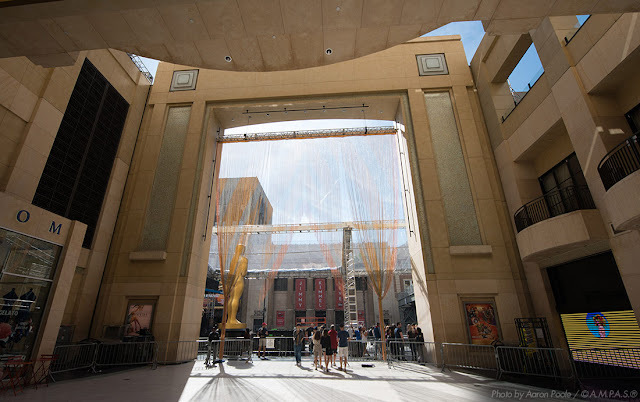 If the weather behaves, organizers could easily take down the clear ceilings. 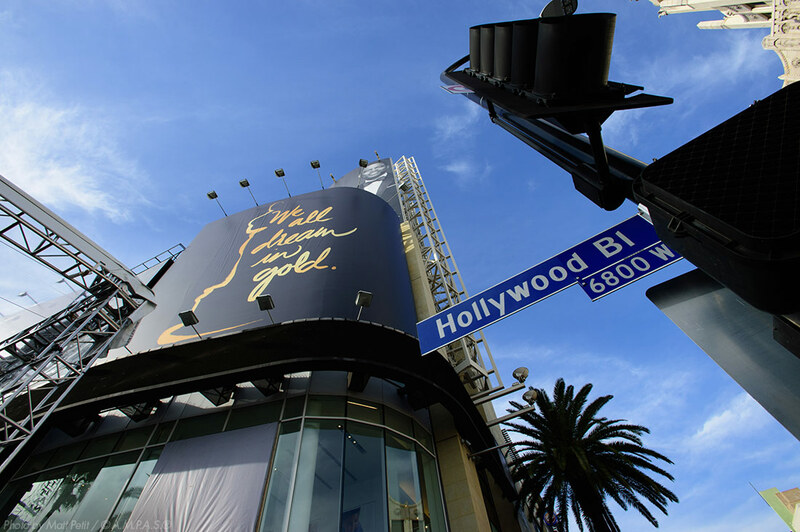 Billboard advertisements are covered up with this year's Oscar theme, "We all dream in gold," at the corner of Hollywood Boulevard and Highland Avenue. 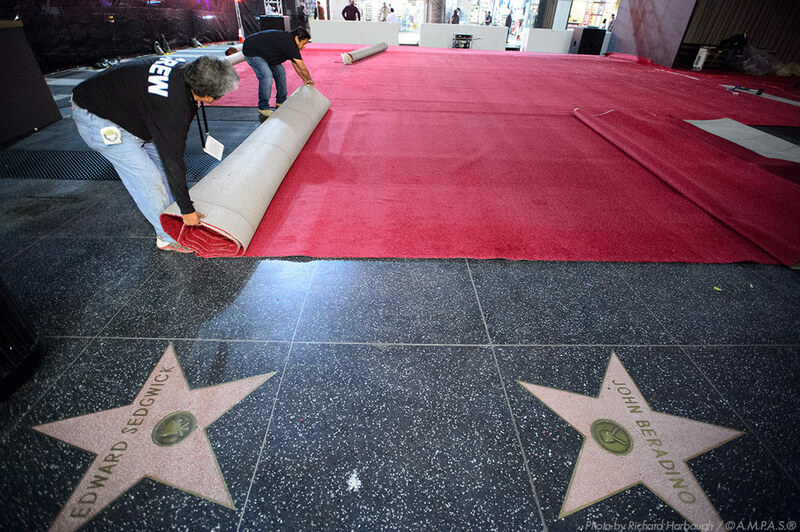 Crews began rolling out the Red Carpet Tuesday evening. The famous stretch of carpet is approximately 500 feet long and 33 feet wide. Watch for more photos from the Red Carpet as Oscar Week continues.